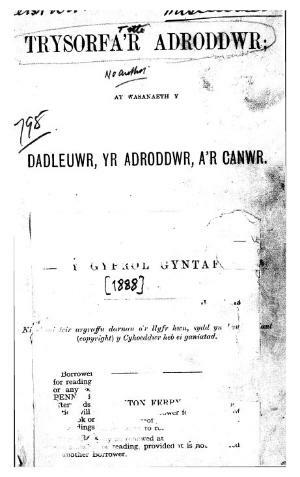 A Welsh language literary and musical periodical that published poetry, songs and dialogues to recite and sing in competitions and literary meetings. Originally a trimonthly publication it was published irregularly from 1905 onwards. The periodical's editor was Daniel Lewis Jones (Cynalaw, 1841-1916).